Ascending Butterfly: TWO Winner's Announcements and an EXCLUSIVE Thank You Coupon! TWO Winner's Announcements and an EXCLUSIVE Thank You Coupon! *Congratulations to 'FDP 4 Life' confirmed winner of Ascending Butterfly's Jewelry Payless Slanted Butterfly Necklace Giveaway! I hope she enjoys her butterfly bling as much I do! We would like to thank Jewelry Payless for hosting gift #8 in our Mother's Day Buying Guide! *Congratulations to 'whitechocolatecherries' confirmed winner of Ascending Butterfly's Helena de Natalio “Belen’ Shoulder Bag Giveaway! I hope she enjoys her 'Belen' Bag as much I do! We would like to thank Helena de Natalio for hosting the sixth bag in our 'Spring Into Bags' 2010 Special Feature! Your enthusiastic responses made this bag, the most popular in the feature to date! How exciting! 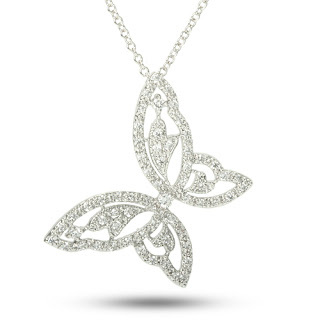 Our friends at Jewelry Payless had so much fun reading your entries and checking out which items appealed to you most, that they have a special and exclusive to Ascending Butterfly Coupon Code for you! Take advantage of this great deal to get your dad or grad gifts NOW! A COUPON FOR YOU: entering ascendingbutterfly with no quotes or spaces will get you 25% off at Jewelry Payless <- This is even higher than the 15% off memorial day savings that can be found on their site! Thanks Jewelry Payless we ♥ You too! (1) Ending 05/27: Enter to win the Luminique Personalized Scented Candles Review & Deluxe Gift Set Giveaway HERE! 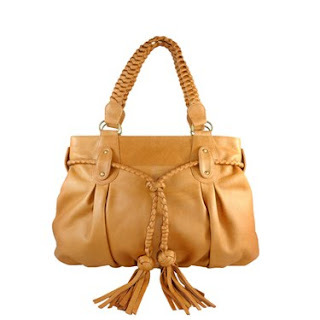 (2) 'Spring Into Bags' Special Feature - Enter to Win the CAMENAE 'Siren Mogano’ Leather Shoulder Bag! - ARV $1,135 HERE! Stay tuned, new gifts in our Mother's Day Buying Guide will launch VERY soon. The ENTIRE month of May is devoted to Mom. Plus the next book in our monthly book club will also be launching soon! And we are days away from our June 'Dads & Grads' buying guide, a whole new round of great giveaways are on the way, check back daily so you don't miss anything! Congrats to FDP 4 life and White chocolate cherries.Hope you both love your win's! great blog love your insperation's and giveaway's ty ty!! Congrats to the winners! Plus, I love that dog leash that you're featuring now, I would definitely have used that with the dog my family had. Thanks for joining us at Friendly Friday, have a great weekend!